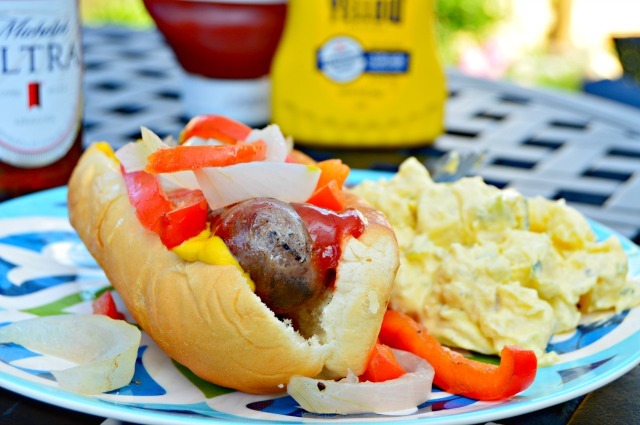 One of our favorite summer time dinners is Matt’s famous beer brats. They turn out perfectly grilled and juicy every single time. 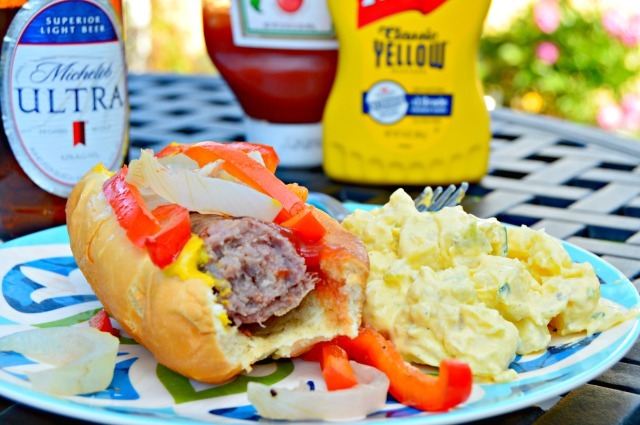 Today he’s sharing his super easy technique so you can make these awesome brats too! 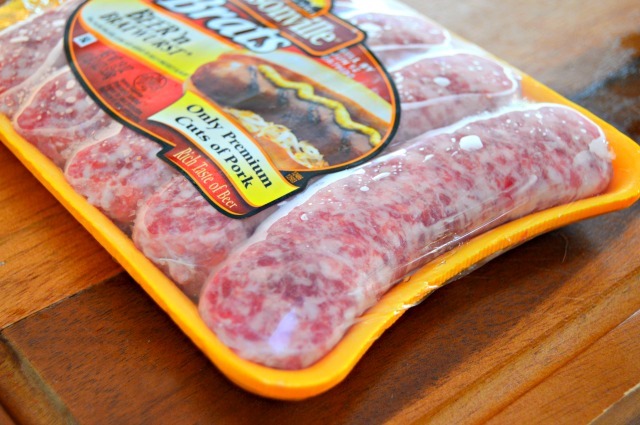 We always start with uncooked Johnsonville Brats. This post is NOT sponsored…these are honestly the best. We’ve tried other brands and store brands too. Sometimes we use the orignals and sometimes the beer ‘n bratwurst version. Either works perfectly with this method. Make sure they are uncooked. The ones that are precooked just won’t turn out the same. We cook ours in a metal pan. We’ve been using a metal bread pan for years. 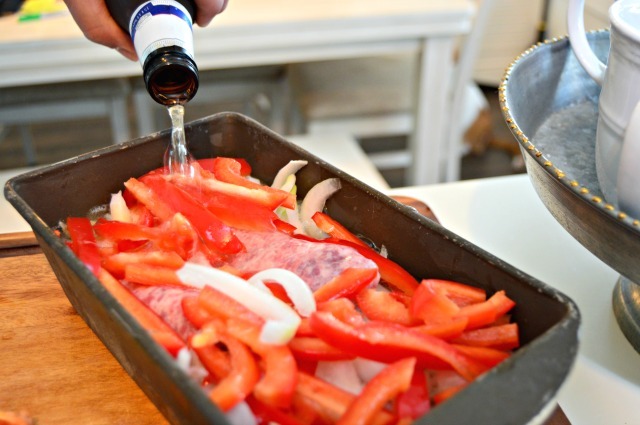 It works great on the grill, or you could use a disposable metal or aluminum pan. They are super cheap and you can just toss them when you are finished. 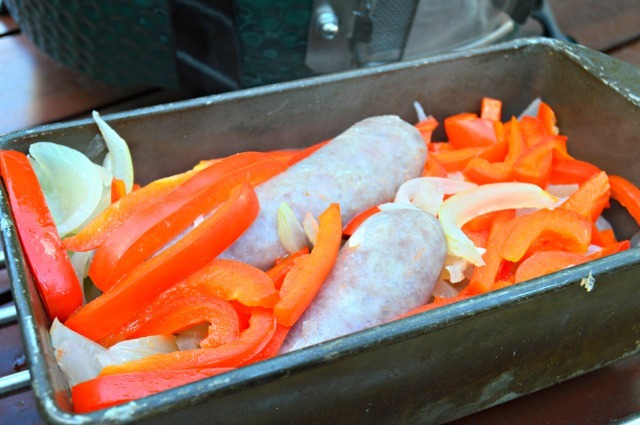 We add the full pack of 5 brats to the bottom of the pan, then slice one red pepper and one yellow onion and add them to the top. 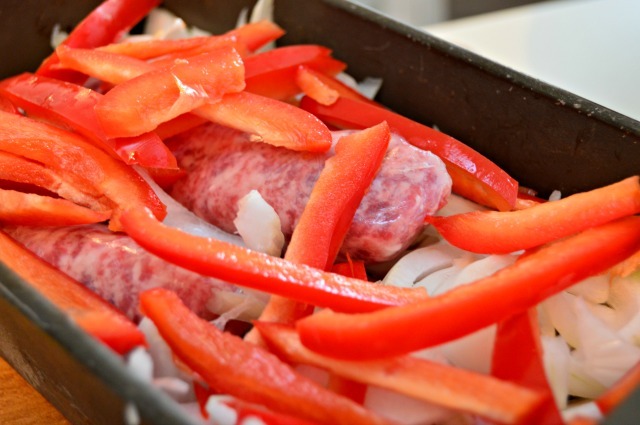 You can absolutely change up which kind of peppers and onions you use…we just love these the most! Next, add enough beer to cover all of the brats, peppers and onions. 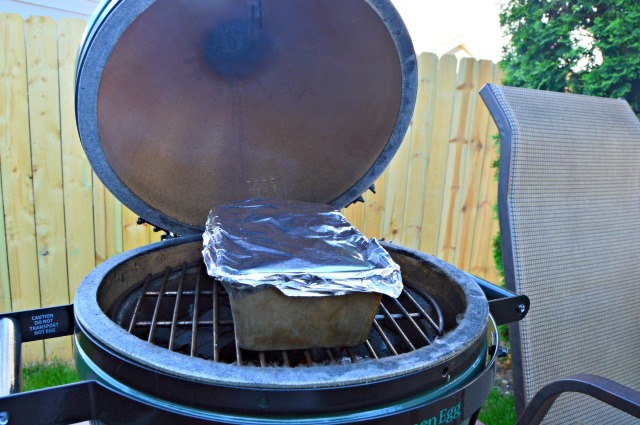 Now, cover your pan with aluminum foil. Place them on your grill on medium to medium high (300 – 400 degrees) and let heat and boil for about 40 minutes. They should stay in tact and shouldn’t bust at all, so the juices won’t be lost. Now, using oven mits, carefully remove the foil and drain the beer out, and discard. Your brats should have a white tint to them and are ready to brown. Reserve your peppers and onions for later. 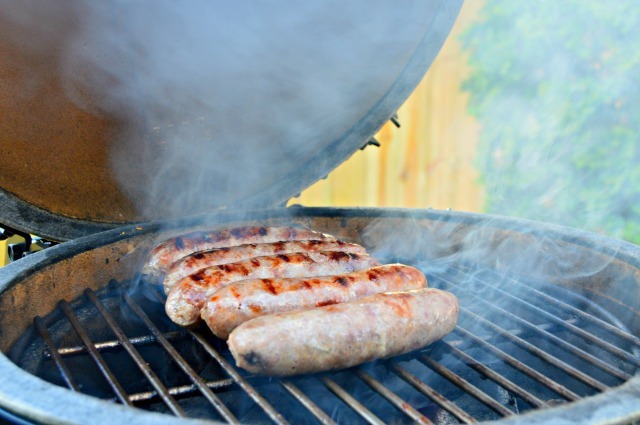 Place your brats directly on the already heated grill grates and brown the way you like them. The middles are already cooked, so this is all about preference. I like mine a little burned and Matt prefers his slightly charred. Remove from grill and they are ready to eat! I love to eat mine on a bun with mustard, ketchup and loaded up with peppers and onions with a little potato salad on the side. These brats are seriously the best I have ever had, and our friends love them too. They are definitely up there on the requests when we have friends and family over to grill out. So…how do you like your brats? On the beer brats. How did you finish cooking the onions and peppers? Was they cooked when you boiled them with the brats. Or did you do them some other way? They had cooked when the brats were boiling, so we just put them aside while we browned the brats. Hope this helps! Do you think you could use the same time to cook the brats in the oven and then brown them in a frying pan. I’m sure you could boil them on the stove or in the over and then brown them up in a frying pan or under the broiler. Good luck! What would you suggest as a substitute for beer for those of us who don’t drink it? This looks so yummy! Hi, Kerrie! You could try boiling them in water…the taste won’t be the same, but boiling them definitely helps them retain their juices. Enjoy! The alcohol does cook out, so there is no alcohol in them, just an amazing flavor. There is no other way to replace the flavor, you can use stock or water but it won’t taste even close to the same. You also can buy single cans at the convenience store of beer they are slightly larger cans than a 12 oz but then you only need one larger can to fill the pan. I usually just boil the brats on the stove in a big pot and then throw them on the grill, works just as good and only takes 15-30 mins tops.